Whether you’re communicating on behalf of a business or an entire industry, professional recruitment has become a very real marketing genre. And like all very real things, people want it to be, well, very real. 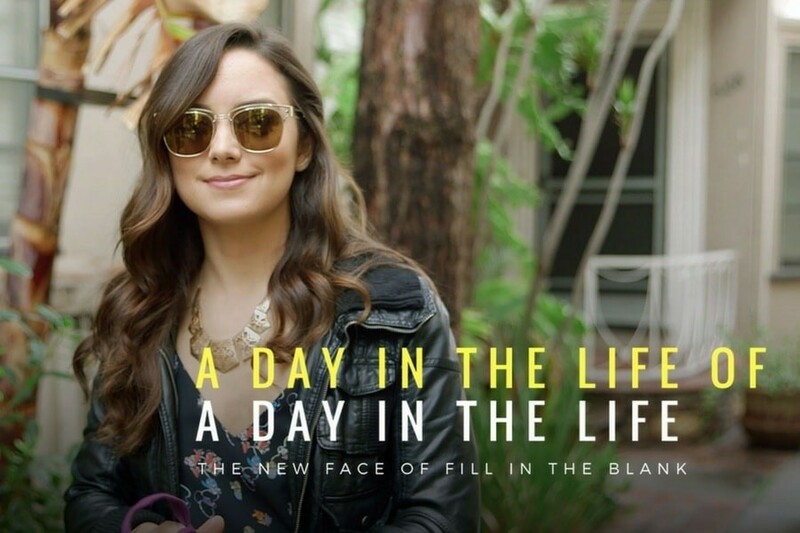 Look, these videos are called a “day in the life” for a reason and it’s not because they’re a brilliant homage to the hit Beatles song of the same name. DitLs (can I call them DitLs?) are rather self-explanatory. Because when we “do” a day in the life, we actually follow a subject. For a day. In their life. Because so much of this type of video-making rests on the individual, it’s essential that you identify the right personality. If you do it right, these folks will embody an entire profession! And if you do it wrong, millions of people will lose their jobs. Or something. Needless to say, it’s imperative that you use the right criteria to find the right talent. Meet Brittney. The LA-chic go-getter who helps women manage their money, while also inspiring them on their entrepreneurial vision quest. When you think of certified financial planners, Brittney is probably not who you’d imagine. That’s why she was the perfect pick for our I Am a CFP Pro campaign with the CFP Board. Because financial professionals can be cool, OK? Bonus: Select someone with an established social following, like Brittney, to help roll out the new campaign on their own terms. Meet Bob. The forensics wizard at the Michigan State Police Department who’s as sharp with his deductive reasoning as he is with a well-timed dad joke. When you hear about industrial hygienists, you probably need to google it. But once you know what they do, Bob beautifully embodies the profession. He's the quintessential science nerd dedicated to maintaining workplace safety. He was featured in the first episode of the new web series, I AM IH, for the American Industrial Hygiene Association which establishes a familiar face within an industry full of Bobs. We worked with the National Industries for the Blind to mash together four vignettes into one short documentary about careers for the blind and the AbilityOne program. Our American Dream follows Andrew, Irenesa, Julius and Keith and shows that good jobs are linked directly to wholesome, meaningful lives. In a relatively short period of time, our video gently introduces each character, before wildly declaring that this is not a charity case — this is a story of git and gratitude and a whole lot of heart. And just because someone is really good at something, doesn’t mean that they’re also really good at the whole video thing. When possible, preliminary interviews, coffees, Google Hangouts, etc., can be a powerful deciding factor when casting your “I Am a Blank” series. And for everyone who doesn’t make the cut? Save their stories for a different medium. Maybe a blog? Or a podcast? Or a made-for-TV-movie that recasts the leading role with an actor? But then that wouldn’t be real and that’s kind of the whole point of a DitL. Are you ready to take your video marketing strategy to the next level? Contact us now. You can also call us at 202-416-4660, email us, or live chat with a member of our team right now.